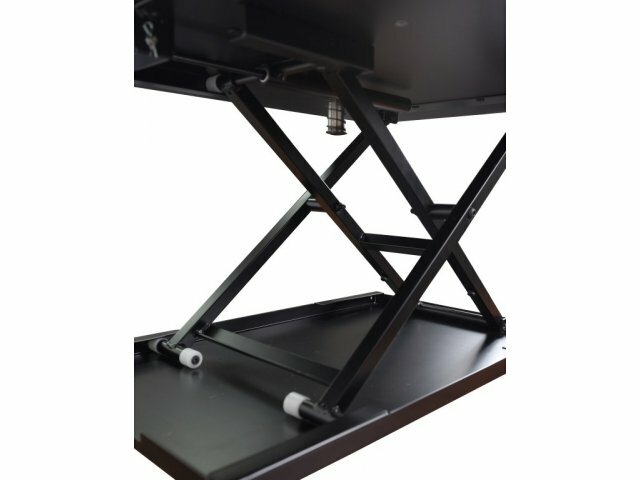 The Level Up 32 Adjustable Standing Desk Converter can transform any standard office desk into a sturdy standing workstation. This allows professionals to create a contemporary ergonomic workspace without replacing desks or breaking the bank. Smooth pneumatic adjustment facilitates perfect customization, while exclusive spring-loaded bumper technology ensures that the work surface never slams. 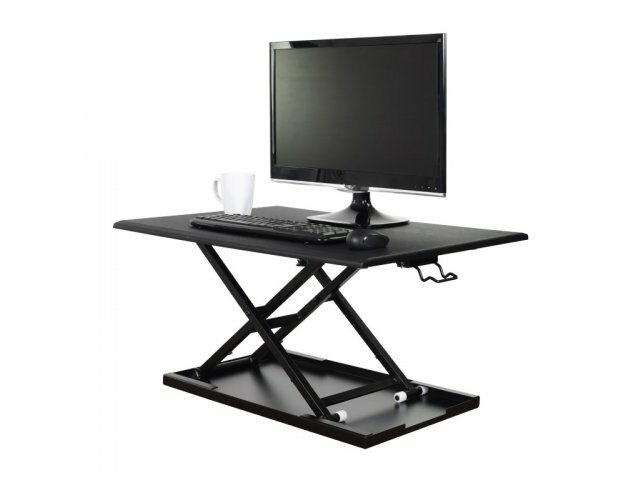 This standing desk converter offers the strength and stability of a full standing desk. 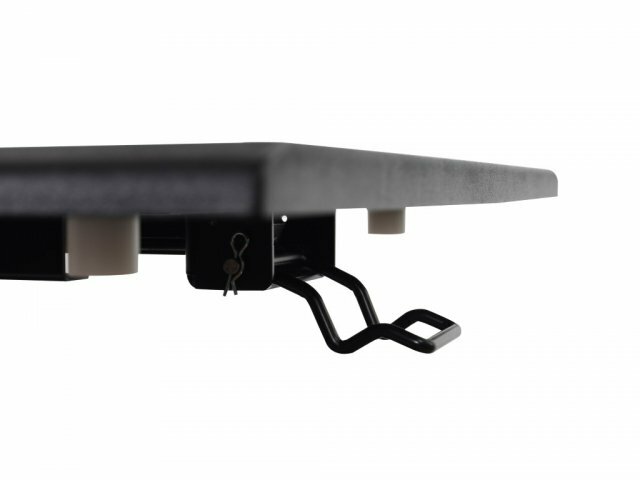 The robust surface supports a dual monitor, keyboard, mouse and other accessories, and remains stable at any height. Sloped edges promote comfortable typing. 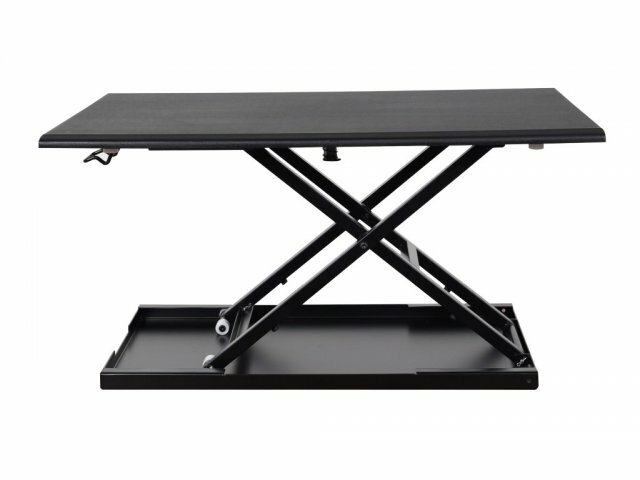 If you want the benefits of a standing desk at a budget-friendly cost, this stand up desk converter is a wonderful choice. Secure Positioning: The textured work surface prevents computers and accessories from slipping. Holds a dual monitor or laptop, as well as accessories. Custom Ergonomics: A pneumatic air cylinder facilitates smooth height adjustment for a custom fit. Sloped edges offer comfortable wrist support. 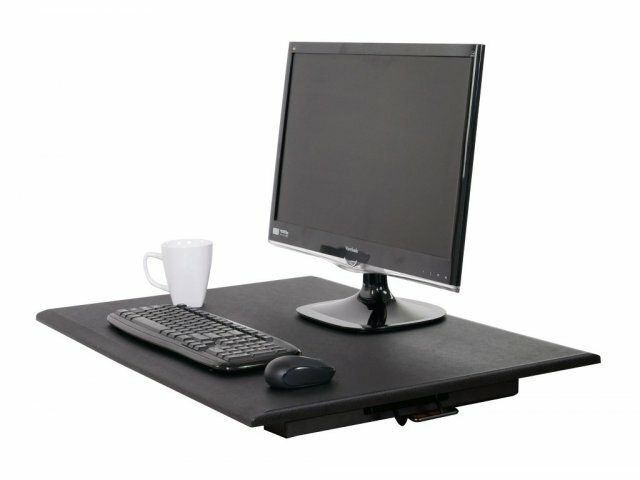 Stable Surface: Height adjusts up to 15.75" above your desk top, with stability throughout the full range of motion. No Bumps: Spring-loaded bumper technology ensures that lowering is smooth. Easy Setup: No assembly or workspace changes required.